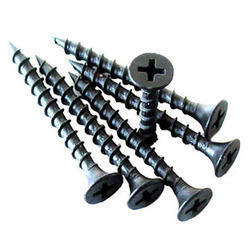 Our range of products include gypsum broad screw, hex head self drilling screw, csk phillps head self drilling screw, frame fixing anchor, chipboard screws and self drilling screw. 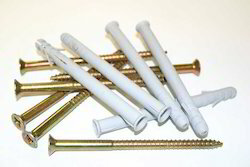 Due to our immense years of industry understanding, we are presenting a huge gamut of Dry Wall Screw. The offered product is thoroughly examined on numerous quality limitations and is extensively required in numerous industries. Provided product is designed by employing optimal quality raw material and the modern technology. In line with worldwide set norm, we offer the complete range of numerous modified options and at inexpensive rates. In order to meet the diverse necessities of our prestigious clientele, we are occupied in offering a wide range of Self Drilling Screw. These range are made by our vendors, using the optimum quality raw material that is sourced from reliable merchants of market. The offered range is highly praised among our customers for its features such as durability, precise sizes and low prices. In order to meet the diverse necessities of our prestigious clientele, we are occupied in offering a wide range of CSK Phillps Head Self Drilling Screw. These range are made by our vendors, using the optimum quality raw material that is sourced from reliable merchants of market. The offered range is highly praised among our customers for its features such as durability, precise sizes and low prices. 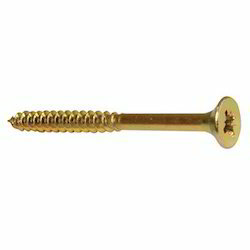 We are a renowned trader of a wide range of Frame Fixing Anchors that are available in various sizes and diameter. These are procured from reliable vendors who manufactured it using high quality material like engineering nylon and carbon stainless steel. 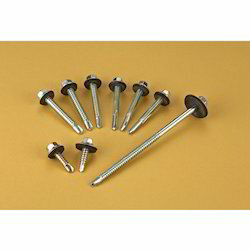 Frame Fixing Anchors offered by us are used to fix metal window and door frame to concrete, block or brick. 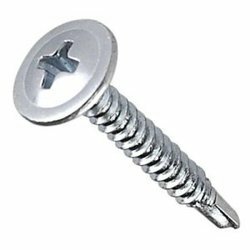 We are giving our following a gigantic range of We are giving our following a gigantic range of Chipboard Screws at cheap rates. Offered product is exactly made by using best grade material and other allied mechanisms in whole adherence set with industry strategies. Before final dispatch, our quality examiners test them against numerous quality limitations in order offer error free range. at cheap rates. Offered product is exactly made by using best grade material and other allied mechanisms in whole adherence set with industry strategies. Before final dispatch, our quality examiners test them against numerous quality limitations in order offer error free range. 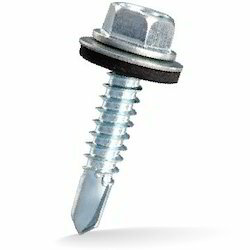 We have in our assortment a range of Truss Head Self Drive Screws (SDS). These are made using quality stainless steel and are known for providing effective usage and durability. 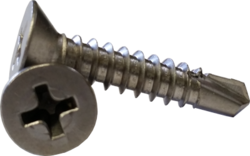 Our range of Phillips Head Self Tapping Screw is subjected to stringent quality tests to ensure its compliance with various industry standards. We make use of cutting edge technology for our products and offer them at affordable prices. 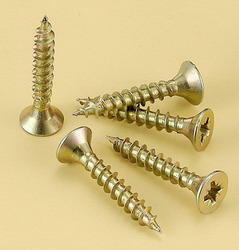 We are giving our following a gigantic range of Chipboard Screws at cheap rates. Offered product is exactly made by using best grade material and other allied mechanisms in whole adherence set with industry strategies. Before final dispatch, our quality examiners test them against numerous quality limitations in order offer error free range.